You know what’s easier to do than keep that New Year’s Resolution to get in shape? Get your brain in better boating shape in 2019. Winter is a great time to hone your seamanship skills and enjoy boating-related talks and events in the company of like-minded boaters. Find more events in our calendar. 1. The U.S. Power Squadrons, the U.S. Coast Guard Auxiliary, and the Chesapeake Area Professional Captain’s Association offer seminars, such as using a marine radio, voyage planning, boating safety, first aid, boat handling, piloting, navigation, engine maintenance, electrical systems, renewing your captain’s license, weather systems, and more. 2. Schools such as the Annapolis School of Seamanship, the Maryland School of Seamanship, and SeaSense offer classes (some online) on basic boating, diesel, electrical, weather, navigation, and more. 3. The Annapolis Maritime Museum offers a winter lecture series on Thursday evenings at 7 p.m. for a $10 donation; topics range from the Captain John Smith Water Trail to maritime history. 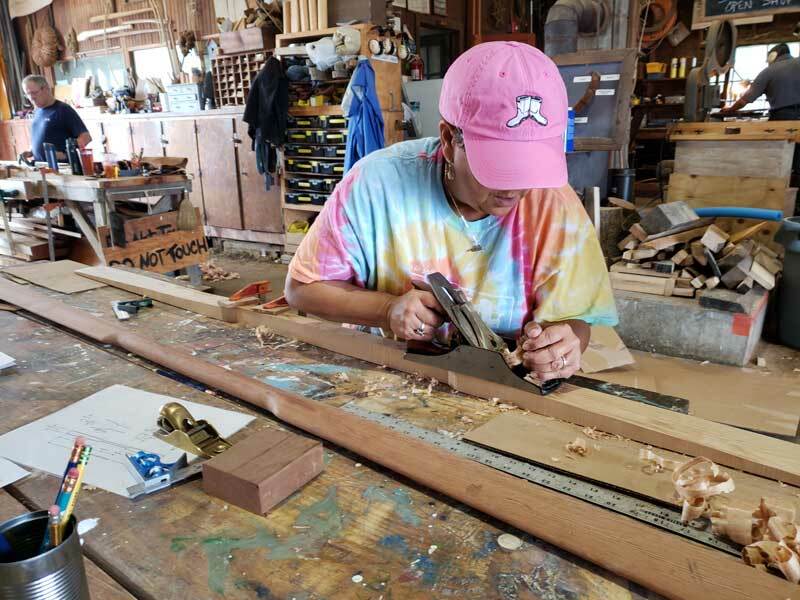 The Chesapeake Bay Maritime Museum in St. Michaels offers an array of learning opportunities from boatbuilding, boating safety, and model boat building. The Calvert Marine Museum in Solomons offers fossil and author talks, as well as a maritime performance series. The Mariners’ Museum in Newport News, VA hosts winter lectures on topics ranging from the “Battle of the Ironclads” during the Civil War to safety at sea as well as family workshops. The Havre de Grace Decoy Museum hosts the 12th annual Vintage Hunting and Fishing Show January 26. 4. Find your Annapolis boating friends at Fawcett Boat Supply on Tuesday evenings at 7 p.m. over the winter. Lectures range from trawler travel to the history of Thomas Point Lighthouse (January 24 by PropTalk co-founder Dave Gendell, who has written a book on the topic). 5. USPS, Mariner’s Learning System, and US Captain’s Training offer online courses for earning captain’s licenses and more. Also try Charter Captain Courses in Chester, MD, for a 12-week course one night per week. 6. The BoatU.S. Foundation partners with USPS for a number of online courses, including using GPS and marine radio, hurricane safety, cruise planning, weather, safe boating and safe boating for your partner, and modern navigation. Prices range from free to $40.